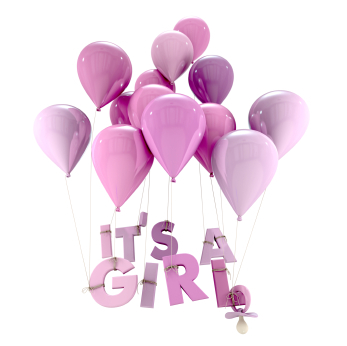 Talk With Yah-Tay: It's A Girl!!! Yeah, Yeah I’ve been missing in action for a few weeks’ aye… Please forgive me ;-) I've got to do better!!! Not too long ago, we celebrated “Mother’s Day” and I shared with you all that my younger sister “Tavia” was having a baby right… IT’S A GIRL, Miss Samiyah Free!!! Now the new addition will make #5 in our immediate family (My sisters, my niece and me). Guess we can’t get a boy in the house LOL!! Well, I traveled to Jacksonville, Florida a few weeks back to join my younger sister for her ultra sound and a little family time right??? Here’s the funny part, we get there, and I have a “To Do List” waiting for me. Now she had told me prior to coming that she wanted me to do a few things for her, but when I got there, I was like “OoooKay”. But, IT’S ALL GOOD, because I got another opportunity to use my “Y-DESIGN” skills. Did I say, I’d been busy??? I have also been working with my middle sister… Assisting her with developing print ad material, business forms and content for her website along with a few other things too…. “Meko” has started her own OBNurse Consultant business which has been inspired by the new addition to our growing family as our baby sister is a “First Time Mom”. She’s also been an “OB Nurse” since she graduated college and began working in the nursing field… You’ve got to read her “True Labor of Love” story to fully understand the passion behind what she does and truly connect with how our baby sister’s pregnancy has sparked what I believe to be a “Revolutionary Bedside Service of Labor Support”. So, you see, I truly have been really busy “DESIGNING”, doing a little bit of everything… I guess, that’s what happens when you’ve got family members that believe you can do it all. But, it’s no secret, I love to work with my hands, problem solve (challenging myself) and write amongst other things. However, if I had to give all of what I do or am able to do a name, I’d title it “Designer/Visionary” because, I consider myself to be a very creative person, who’s both, analytical and insightful… What a mixture, I guess you’re thinking what kind of “Designer/Visionary” is that? LOL!! Seriously though, I enjoy serving others with my gifts and talents… From The Heart!! !